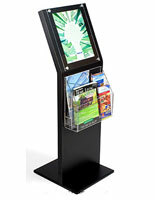 Bus station displays are an important part of any public transportation terminal because riders would literally be lost without them. 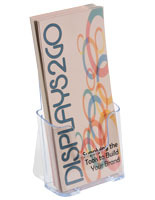 Wayfinding bus station signs are the perfect tools for directing riders to the correct loading platforms and buses. 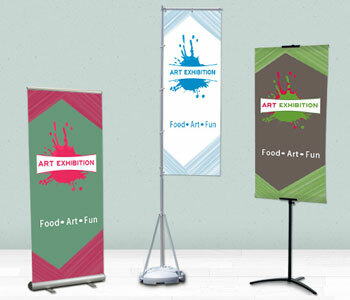 There are many different types of signs and banners which can be customized with unique colors, logos, and text. 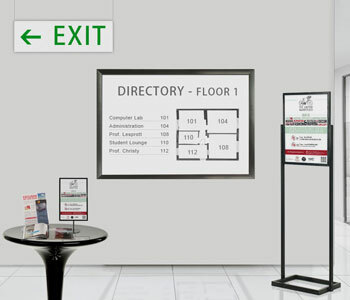 Another great wayfinding approach is to use ceiling hanging signs, which are hung from cables, chains, or wires. 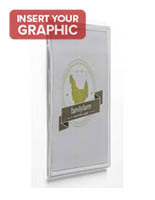 Supported by sign hanging hardware, the acrylic sign holders and fabric banners come in many different sizes to accommodate any message you might have. 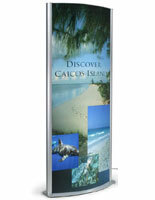 Multi-row and multi-columned grid panels are also available for showcasing numerous messages, destination times, and maps. 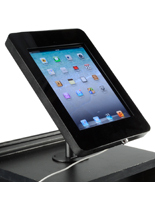 We even sell digital monitors that display arrival and departure times! 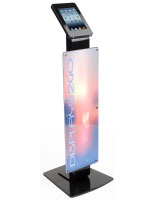 A floor standing or wall mounted wayfinding bus station sign provides one of the best ways to accommodate and direct passengers. 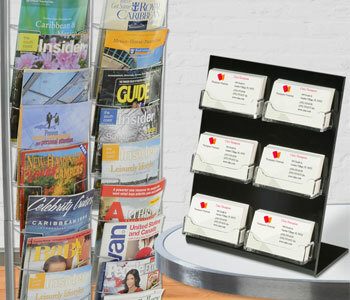 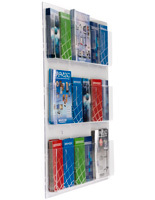 Many different loading styles are available and additional attachments are a great way to turn simple signs into pamphlet and brochure holders for displaying transportation information. 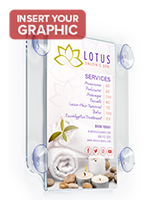 Location and product specific bus signs are important for customers because they allow for easy navigation to ticket counters, restrooms, food locations, and of course the buses themselves. 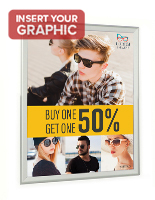 Bus stop signage can serve as an important advertising tool for outside businesses, or simply provide a way for riders to know where their stop is! 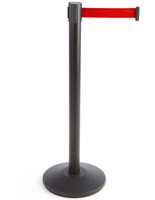 For larger transportation hubs, a bus terminal sign selection is needed to distinguish where various routes will pick up passengers in the depot. 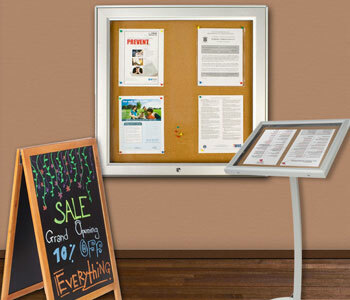 Another must-have for bus stations is a way to dynamically update riders with current information including bus times, bus numbers, maps of stops, and other real-time details. 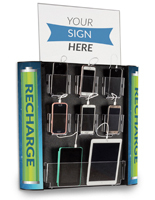 The easiest way to show all of this information is by using our digital display bus station signs. 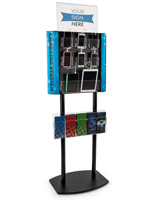 These metro transit electronic signage solutions each come with an integrated media player. 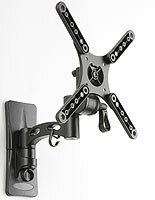 Make sure not to forget to include TV mounts for your digital signage as well so you can place the television in the most visible area. 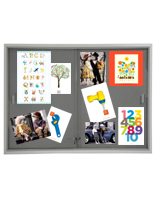 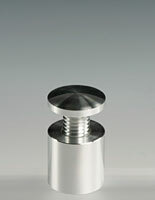 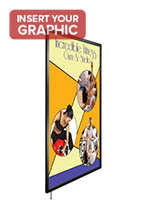 Several styles are available such as wall mounted, ceiling hanging, and floor standing designs. 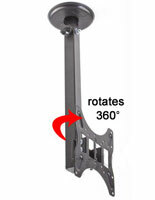 If you are looking for features such as tilt or articulation, you're in luck! 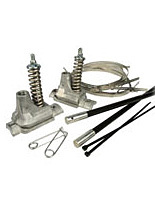 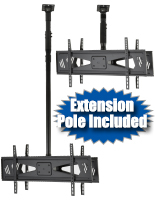 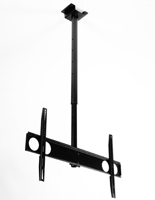 We stock everything from low profile to full motion TV brackets for bus terminals. 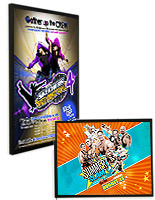 Don't need a digital signage system but still want to make a splash? 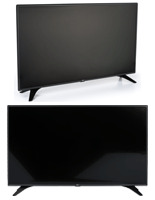 We carry frames that feature built-in LED lighting. 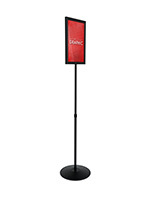 These illuminated displays are ideal for outdoor bus stop use where they are frequently used to broadcast important messages, promotions, and other information. 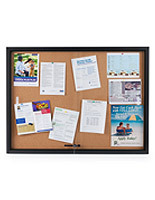 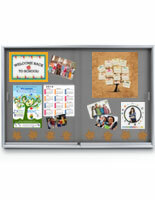 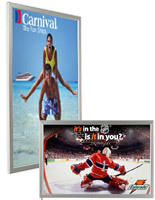 Many of our poster frames and lightboxes are the perfect tool for advertising so the possibilities are endless! 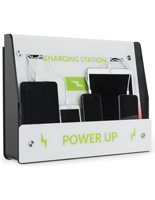 Charter station displays are essential but make sure that you don't forget other bus terminal fixtures that you can't go without! 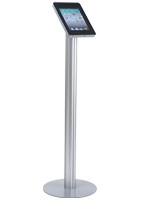 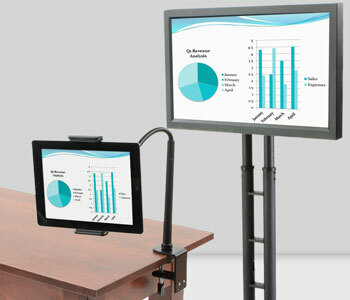 iPad and android tablet stands can be used for finding important information and checking in. 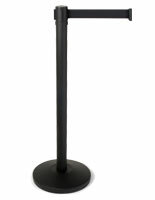 While riders are waiting in line for tickets, stanchions with ropes or retractable belts will lines orderly. 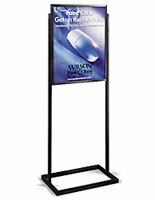 Many color options as well as stanchion post sign frames are available too. 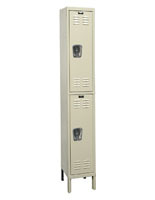 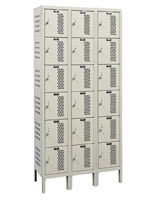 Bus station lockers are great for keeping important personal items safe and our bus station seating will keep riders comfortable while waiting. 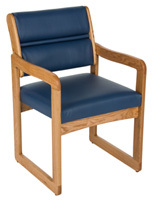 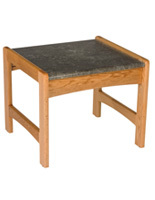 Our large line of bus station chairs, coffee tables, side tables, and indoor benches come in different style and colors. 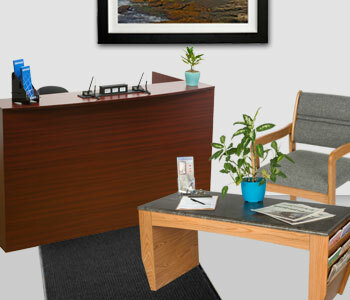 Our information desks will also make a great addition with multiple shelving, modern curved lines, and great looking wood finishes. 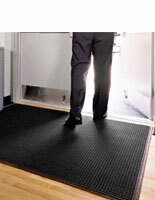 Keeping your bus terminal clean is also essential for both your employees and customers. 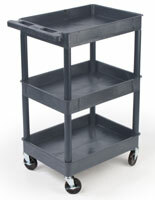 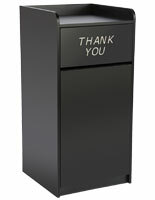 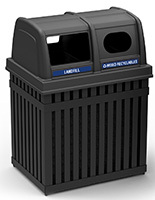 Janitorial service carts, floor mats, and trash cans will help keep your terminal immaculate. 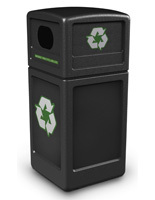 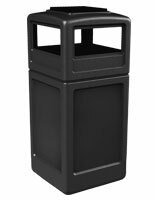 Cigarette disposal units and outdoor trash receptacles are also available for keeping the outside of your bus station spotless. 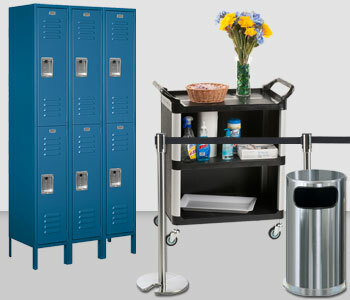 With all the bus station essential fixtures and furniture here in one place, there really is nowhere else to shop first! 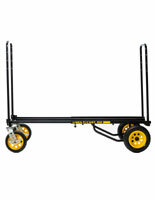 Browse around to see what else we have to offer for your transportation facility and commuters.